Sunday, Fr. 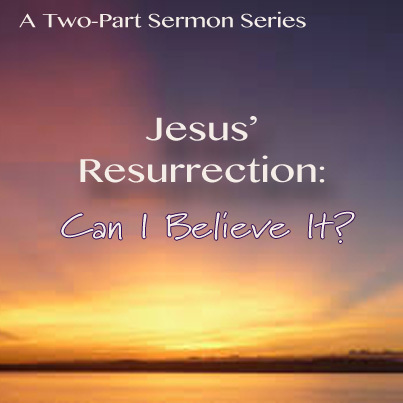 Kevin will begin a two-part sermon series on why we can believe the resurrection actually happened. He will address common objections to the bodily resurrection of Jesus in the first sermon and then talk about reasons why we can believe the gospel accounts of the resurrection in the second sermon. Join us, and bring someone who might have questions!